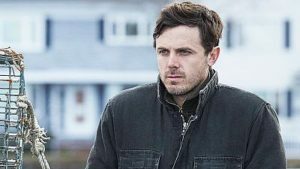 Casey Affleck delivers a Golden Globe-winning performance in the powerful drama Manchester by the Sea, written and directed by Kenneth Lonergan (Margaret). The award-winning 2016 Sundance Film Festival Official Entry follows Affleck’s character Lee, a solitary Boston janitor who unexpectedly becomes the sole guardian of his 16-year-old nephew. Thus, he must come to terms with a past that separated him from his wife (Michelle Williams, My Week with Marilyn) and his hometown, as uncle and nephew unite for what may well be a new beginning…or an extension of a previous tragedy. Co-starring Kyle Chandler (The Wolf of Wall Street), Gretchen Mol (Tenure) and Lucas Hedges (Moonrise Kingdom), Manchester has been acclaimed since its debut, having been nominated for five Golden Globes and four Screen Actors Guild Awards, and having won the Golden Globe for Best Actor, three Critics’ Choice Awards, and four National Board of Review awards.